A copy of PIPEDA is available at http://www.pipedainfo.com/. Rest assured, the information you share with ABEX will be kept private and confidential. “Personal Information” is defined as information about an identifiable individual, but does not include the name, title or business address or telephone number of an employee of an organization. This is a very broad definition and may include most types of information held such as race, medical, criminal, employment and financial history. The legislation only applies to information collected, used or disclosed in the course of commercial dealings. ABEX is committed to open and fair privacy practices which comply with the Personal Information Protection and Electronic Documents Act, as well as any other applicable legislation. ABEX is accountable for all personal information under its possession, custody or control, whether supplied to us directly by you or by a third party, or that we have provided to a third party for processing. We understand it is our responsibility to ensure all staff are well trained and well informed of our legal responsibility surrounding security. Even though numerous individuals within ABEX are responsible for the day-to-day collection and processing of personal information, our Privacy Officer is ultimately accountable for the handling of personal information under the control of ABEX and for ensuring that the principles set out in this privacy statement are being complied with. Please see Principle 10 for information on how to contact our Privacy Officer regarding your specific privacy questions or concerns. ABEX collects personal information in the course of providing services to our clients. ABEX will inform an individual of the purposes for which Personal Information is collected at or before the time the information is collected. analyze business results, compile statistics, perform administrative tasks such as accounting and information system activities and conduct marketing and underwriting research and modeling. Our web server may automatically record certain technical information related to your visit to our website. This information is anonymous and does not identify you personally. It includes things such as: the Internet domain for your Internet service provider; the Internet Protocol (IP) address of the computer accessing the website; the date and time that you visited this website; and a record of which pages you viewed while you were visiting this website. We may use this information to statistically analyze site usage, in order to make our site more useful to visitors, to diagnose problems with our servers and to help us to better design our website. If we require your Personal Information for any purpose other than as identified above, ABEX will seek your consent prior to using it. ABEX will obtain consent before or when we collect, use or disclose personal information about an individual,except in certain circumstances where consent is not required. An individual may choose to withdraw consent at any time. If we choose to use personal information already in our custody for a purpose which was not identified at the time we initially collected the information, unless the new purpose is required by law, we will seek the consent of the affected individuals before using this information for these purposes. We do not collect personal information that is not necessary for the purposes we identify when we collect it. We will not refuse to provide a service to an individual if they choose not to provide us with their personal information, unless their failure to provide such information makes us unable to provide such service. We issue or arrange issuance of an insurance policy with our insurance company partners with the understanding that, in addition to providing your consent, you have obtained the consent from all persons named in your insurance policy for the collection, use and disclosure of their Personal Information, for the purposes outlined above. You can provide consent to the collection, use and disclosure of your Personal Information expressly or implicitly. Express consent can be given orally or in writing. It is given by agreement or action on the part of the customer, to acquire or accept a product or service. For example, express oral consent can be given over the telephone, or express written consent can be given by signing an application form or an agreement which may relate to Personal Information. Express consent by an action can be given by clicking an accept button on a computer screen. If oral express consent is given, ABEX will document and/or record the conversation, specifically the name, date, and details of the conversation in either hard or soft copy within the appropriate policy or claim file documentation in order that it may be easily located and accessed should this be necessary. Implied consent can be inferred from the relationship between the parties or from the nature of the dealings between the parties. For example, when you give Personal Information to an insurance broker or agent for the purpose of obtaining insurance, it is reasonable to infer that there is implied consent to the disclosure of that information to the insurer to meet your insurance needs. In addition, when you make changes to your policy or when your policy automatically renews, you are agreeing that any consent you have previously provided to us relative to your policy remains in effect unless the consent is otherwise withdrawn. Consent may be given by the individual or by an authorized representative (such as a person having power of attorney, or a legal guardian). ABEX will verify authorization by requesting identification, the reason for representation, and if applicable, the approval of representation by the applicable individual. Subject to certain legal and contractual restrictions and reasonable notice, you may refuse or withdraw consent to the collection, use or disclosure of Personal Information at any time by notifying our Privacy Officer in writing (please see Principle 10 for details). In addition, you may also opt out of certain communications we may send you regarding other products and services. However, you should be aware that withdrawing your consent may affect our ability to respond to your insurance needs. ABEX maintains a strict no-spam policy in accordance with Canada’s Anti-Spam Legislation (CASL) and will ensure that no unsolicited electronic communications are sent to. If you receive unsolicited communications from ABEX, its affiliates or third-party licensors, please notify our Privacy Officer (contact information provided in Principle 10 below). ABEX limits its collection of personal information to that which is reasonably required. We will not collect personal information which is not necessary to our business, as in the purposes mentioned above. ABEX will use and disclose personal information only for the intended purpose for which the information was collected. We keep personal information only for as long as necessary to satisfy it’s purpose or as required by law. We will not use or disclose your Personal Information for purposes not identified in Principle 2 unless we have your consent or it is required by law. We will keep your information only for as long as it is needed. ABEX may internally share your personal information for the purposes identified in this policy with its Canadian affiliates or other related companies outside of Canada. Only such companies with legitimate business reasons will have access to your Personal Information and must ensure that Personal Information in their possession is securely held. We may disclose your Personal Information to third parties, which include brokers, agents, private investigators, and adjusters. Third Parties are also subject to PIPEDA and other applicable privacy legislation. Only those companies or individuals, who are authorized, based on their need to carry out work for the purposes identified in Principle 2, can have Personal Information disclosed to them. Furthermore, should ABEX and/or any of its member companies become involved in any business transaction including purchase or sale, merger or amalgamation or a financing arrangement, pertaining to any of its business assets, your Personal Information may need to be shared with applicable third parties to complete such a transaction. ABEX and/or any of its member companies may use service providers located outside of Canada or related companies located outside of Canada to collect, use, disclose or store your Personal Information. Only those companies or individuals, who are authorized, based on their need to carry out work for the purposes identified in Principle 2, can perform such functions. Where your Personal Information is collected, used, disclosed or stored outside of Canada, we will attempt to contractually protect it; however, it may be subject to the laws of that jurisdiction and may be accessed by the courts, law enforcement and national security services of that jurisdiction. The jurisdictions where Personal Information may be collected, used, disclosed and stored include, but are not limited to the United Kingdom and the United States of America. To obtain further information on ABEX policies and practices with respect to service providers outside of Canada you may contact the ABEX’s Privacy Officer. The retention periods for Personal Information are consistent with the company Retention Policy, which in turn meets the provincial and federal legislation requirements. Your Personal Information will only be retained for as long as necessary for ABEX to serve you or as long as may be required for legal purposes. As soon as any of the Personal Information reaches its maximum retention period, it is destroyed, made anonymous, or archived from operating systems to a secured, limited access site. ABEX will keep the personal information in our possession or control accurate, complete, current and relevant, based on the most recent information given by an individual. Within a reasonable time of being notified, ABEX will update member records to reflect changes in personal information. If ABEX has any doubt about your Personal Information being accurate, complete and/or up-to-date, given that there is a business need, you may be contacted to verify the information currently available, and amendments shall be made where necessary. If it is not possible to verify your Personal Information, or we are unable to contact you, no action, other than logging these limitations in your file are taken. ABEX will protect personal information with safeguards appropriate to the sensitivity of the information. We will protect personal information regardless of its format against unauthorized access, disclosure, copying, use or modification. ABEX is responsible for safeguarding your Personal Information from loss, theft, unauthorized access, disclosure, copying, use, or modification, regardless of the format in which it is stored. ABEX as a third party can not be held responsible if a data breach occurs at the first party to whom the data was originally supplied. ABEX employees adhere to the same diligence for Personal Information received from outside ABEX and adhere to any higher standard of third parties if so contracted. Upon request, ABEX will provide an explanation of its Policy with respect to the management of Personal Information. You can contact our Privacy Officer with any inquiries or complaints or if you require further information. Upon the receipt of a written request from individuals, ABEX will advise them of the existence, use and disclosure of their personal information and they will be given access to such information except as may be limited by law. Individual reserves the right to request information be amended or corrected. Requests for disclosure must be made in writing, by fax, email, or letter. ABEX will respond to an access to information request as soon as possible but not extending 30 days of receiving the request. Any responses shall be provided in an understandable manner with adequate explanation of abbreviations or codes. Upon request, ABEX will provide access to Personal Information in an alternative format for individuals with sensory disabilities, if conversion to an alternate format is reasonable and necessary. Reponses shall be made within 30 days of receipt of the request. However, if an extension is required, a notice of extension for up to an additional 30 days will be sent to you, within 30 days of receipt of the request, stating the reasons for the extension, the new time limit and explaining your right to complain to the Privacy Commissioner of Canada, or if applicable, the provincial privacy commissioner about the extension. If a request for disclosure is denied, we will provide an explanation. The individual will be informed that he/she can challenge the denial of the request through ABEX Privacy Officer via the Complaints Handling Process (see Principle 10 for details) or the Federal or Provincial Commissioner. If you successfully demonstrate the inaccuracy or incompleteness of Personal Information, ABEX will amend the information, as required (correction, deletion, addition). Where appropriate, the amended information shall be transmitted to applicable third parties having access to the information in question. When a challenge is not resolved to the satisfaction of the individual, ABEX will record the substance of the unresolved challenge. When appropriate, the existence of the unresolved challenge will be transmitted to third parties having access to the information in question. Personal Information that is the subject of a request or has been used to make a decision about an individual will be retained as long as is necessary to allow the individual to exhaust any recourse that they may have under the applicable privacy legislation. Individuals may challenge ABEX on our handling and practices of personal information and/or our compliance with privacy legislation. Complaints and inquiries should be directed to the Privacy Officer. All complaints received are investigated. If we find a complaint is justified, ABEX attempts to resolve it. If necessary, we modify our policies and procedures to ensure that other individuals will not experience the same concerns. If the solution means that ABEX needs to alter its practices and procedures then the Privacy Officer or designate is responsible for ensuring such changes are made. In writing: ABEX Affiliated Brokers Exchange Inc. The Website is not intended to provide specific insurance advice for any individual or business entity and should not be relied on for such advice. Persons seeking insurance advice should contact a licensed professional, such as an independent insurance broker, who can take their individual circumstances into account. The descriptions of the various products and services offered by ABEX contained in this Website are provided solely for general informational purposes. No offer is made or intended to be made on this Website. The information and descriptions contained herein are not intended to be complete descriptions of all terms, conditions and exclusions applicable to the products and services. In all cases, ABEX products and services are governed by the terms, conditions and exclusions of the actual policy. The products and services described within this Website may not be available in all regions of Canada, or to persons who are residents of jurisdictions outside of Canada. ABEX’s insurance services are only available in jurisdictions where they may legally be provided. You may not be eligible for all products and services and ABEX reserves the right to determine such eligibility as permitted by law. Where noted, certain products or services may be subject to specific terms, conditions, representations or agreements. The portions of this site related to such products and services provide additional information about terms, conditions, representations, agreements, eligibility and availability. The Website is owned and operated by ABEX. Any and all content, data, graphics, photographs, images, audio, video, software, systems, processes, trademarks, service marks, trade names and other information including, without limitation, the “look and feel” of the Website (collectively, the “Content”) contained in this Website are proprietary to ABEX, its affiliates and/or third-party licensors. The Content is protected by Canadian and international copyright and trademark laws. Except as set forth herein, you may not modify, copy, reproduce, publish, post, transmit, distribute, display, perform, create derivative works from, transfer or sell any Content without the express prior written consent of ABEX. You may download, print and reproduce the Content for your own non-commercial, informational purposes provided you agree to maintain any and all copyright or other proprietary notices contained in such Content, and to cite the URL Source of such Content. Reproduction of multiple copies of the Content, in whole or in part, for resale or distribution is strictly prohibited except with the prior written permission of ABEX. To obtain written consent for such reproduction, please contact us at service@abexinsurance.com. Some portions of this Website are restricted and require authorization for access. To access certain portions of the Website you may be asked to complete an online registration form. In consideration for your use of this Website and the services provided on it, you agree to provide true, current, complete and accurate information as requested on any registration form to which this Website may direct you, and to update that registration information as soon as possible after any information on such registration form changes. Upon registration, you will choose a username and password. You alone are responsible for keeping that password and username confidential, and for any and all activity that occurs on this Website under such password or username. You agree to immediately notify ABEX of any unauthorized use of your password or username or any other breach of security. It is our goal to provide increased convenience and value to you, our visitors. Therefore, the Website might offer you links to other sites on the Internet that are owned, operated and independently maintained by third parties and therefore not affiliated with us. Please understand that such linked websites are independent from ABEX and that ABEX has no control over the content of such websites. Consequently, ABEX cannot be held liable and makes no warranty or representation whatsoever as to the content, accuracy, timeliness and/or completeness of the information contained on such websites. In addition, the links which we might place on our Website should not be construed as an affiliation with ABEX and do not imply that we recommend, sponsor, endorse or are affiliated or associated with, or have been legally authorized to use any trade-mark, trade name, service mark, design, logo, symbol or other copyrighted materials displayed on or accessible through such sites or that we support views or opinions expressed therein. ABEX is not responsible for your use of such linked sites or the products or services offered by the sponsors of these sites. You should make an independent investigation and evaluation before acquiring any of such products or services. Other links in this site may lead you to websites or pages of companies around the world. You should be aware that these websites are maintained and operated locally and the contents and use of such websites may be governed by the laws and regulations of countries other than Canada. The information contained in this Website is subject to change without notice. However, there is no commitment to update the information contained herein. ABEX makes no representations or warranties with regard to the information contained herein. You are responsible for evaluating the quality, accuracy, completeness, and usefulness of all information and opinions provided in this Website. In providing the information contained in this Website, ABEX is not rendering any legal, accounting or other professional advice or opinions on specific facts or matters. ABEX assumes no liability whatsoever in connection with your use of this information. You should always consult with your own professional advisors with respect to your situation. 6. use, download or otherwise copy, or provide to any person or entity any Website users directory or other user or usage information or any portion thereof other than in the context of your use of the Website. In particular, you agree to indemnify and hold harmless ABEX, its affiliates, members, officers, employees, agents, sponsors, and licensors for any injury to you or any third party that may result from the use of or reliance on any Content or product from ABEX. ABEX recommends that users exercise their own skill and care with respect to the use of any Content and should obtain any expert advice they consider necessary. “ABEX”, www.abexinsurance.com, www.abexinsurance.ca, www.abexaccess.com and www.abexaccess.ca are trademarks of ABEX. 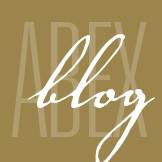 Other marks, graphics, typefaces, trademarks and logos appearing on the Website are trademarks or trade dress of ABEX. All other trademarks appearing on the Website are property of their respective owners. The contents of this Website are protected by the copyright laws of Canada and other countries. Reproduction, redistribution, re-transmission, modification, republishing or making public or commercial use of all or any part of the material in this Website, in any manner for any purpose without the express written consent of ABEX is prohibited. Certain names, logos, designs, titles, words or phrases on this Website may constitute trade marks of ABEX and/or its affiliated companies. Any unauthorized use, downloading, copying, or modifying of the contents of this site may be in violation of federal or common law trade mark and/or copyright laws. This Website is administered by ABEX from its office in Canada. If you choose to access this Website from outside of Canada, you do so of your own initiative and are responsible for compliance with applicable local, national or international laws. By virtue of maintaining this Website, ABEX shall not be construed to be doing or transacting business or otherwise being subject to the jurisdiction of any governmental authority in which the user, or this or any linked site server or Internet provider is resident, domiciled or located. If any provision of this agreement is found to be invalid by any court having competent jurisdiction, the invalidity of such provision shall not affect the validity of the remaining provisions of this agreement, which shall remain in full force and effect. No waiver of any term of this agreement shall be deemed a further or continuing waiver of such term or any other term. ABEX MAKES NO REPRESENTATIONS ABOUT THE SUITABILITY OF THE INFORMATION CONTAINED IN THE DOCUMENTS AND RELATED GRAPHICS PUBLISHED ON THIS WEBSITE FOR ANY PURPOSE. ACCORDINGLY, THIS WEBSITE, INCLUDING THE CONTENT AND SERVICES PROVIDED HEREIN, IS BEING PROVIDED ON AN “AS IS” AND “AS AVAILABLE” BASIS AND WITHOUT WARRANTIES OF ANY KIND WITH REGARD TO THIS INFORMATION, INCLUDING BUT NOT LIMITED TO ALL EXPRESS OR IMPLIED WARRANTIES OF MERCHANTABILITY, FITNESS FOR A PARTICULAR PURPOSE, TITLE AND NON-INFRINGEMENT. IN NO EVENT SHALL ABEX, ITS AFFILIATED COMPANIES, OR THEIR RESPECTIVE OFFICERS, DIRECTORS OR EMPLOYEES BE LIABLE FOR ANY SPECIAL, INDIRECT OR CONSEQUENTIAL DAMAGES OR ANY DAMAGES WHATSOEVER RESULTING FROM LOSS OF USE, DATA OR PROFITS, WHETHER IN AN ACTION BASED ON CONTRACT, NEGLIGENCE OR OTHER TORT, ARISING OUT OF OR IN CONNECTION WITH THE USE OR PERFORMANCE OF INFORMATION AVAILABLE FROM THIS WEBSITE. ABEX DOES NOT WARRANT THAT THE FUNCTIONS ON THE WEBSITE WILL BE UNINTERRUPTED, AND THAT ANY INFORMATION DIRECTLY OR INDIRECTLY TRANSMITTED TO OR FROM THIS SERVER IS SECURE OR THAT ANY INFORMATION CONVEYED WILL BE PRIVATE, ERROR-FREE OR FREE OF VIRUSES OR OTHER HARMFUL COMPONENTS. IN NO EVENT SHALL ABEX, ITS AFFILIATED COMPANIES, OR THEIR RESPECTIVE OFFICERS, DIRECTORS OR EMPLOYEES BE LIABLE FOR ANY DIRECT, INDIRECT, INCIDENTAL, SPECIAL, OR CONSEQUENTIAL DAMAGES THAT RESULT FROM OR IN CONNECTION WITH THE USE OF, OR THE INABILITY TO USE, THE WEBSITE OR ANY CONTENT, SERVICES OR ANY PRODUCT OBTAINED THROUGH THE WEBSITE, EVEN IF ABEX HAS BEEN ADVISED OF THE POSSIBILITY OF SUCH DAMAGES. ALL OTHER TERMS AND CONDITIONS GOVERNING ANY PRODUCT OR SERVICE ON THE WEBSITE ARE PROVIDED WHEN YOU REQUEST A PRODUCT OR SERVICE. YOU EXPRESSLY RELEASE AND HOLD ABEX HARMLESS FROM ANY AND ALL CLAIMS, LOSSES, LIABILITY, DAMAGES, INJURIES AND EXPENSES (INCLUDING, WITHOUT LIMITATION, PERSONAL INJURY CLAIMS) ARISING OUT OF OR RELATING TO YOUR USE OF ANY PRODUCTS AND SERVICES OBTAINED VIA THE WEBSITE.